2014 will go down as the year in which Canadians -- all Canadians -- truly became aware of the debacle that is Veterans Affairs. It was the year in which pictures spoke, in which talking points failed, and in which government reports were actually read. It was the year that Conservative misdirection drove increased awareness instead, thanks to Julian Fantino. From the start of his ministry, Minister Fantino has been a distraction. He declared himself a veteran, despite never having served in the Forces or RCMP, offending those who did. Julian's outrageously disrespectful attitude this year has had veterans demanding his resignation, removal, or head. This works out well for the Conservatives. With veterans and supporters focused on a single person, the Harper Government can keep doing what it does best: ignoring Canadians. As long as dear sweet Julian is at the helm, he gets the blame and Harper gets a pass. At least, that's the theory. But Minister Fantino has served another purpose equally well: raising awareness. Various advocates have been working for years to explain to Canadians how badly veterans are treated. That's no easy task because many of the issues are complicated, bureaucratic, and, frankly, boring to read. Then along comes bungling, offensive, incompetent Fantino. No one needs an explanation of how the Harper Government holds veterans in contempt; you just need the video clip of the Minister yelling at decorated war heroes. You don't need a complex outline of how the Ministry refuses to address veterans; you just need to see the Minister running away from a veteran's wife. And you only have to notice that people like Parm Gill, Erin O'Toole, Laurie Hawn, and Ashlee Smith (Fantino's spokesperson) are fielding questions about VAC, and Julian Fantino isn't, to realize that the Minister is not responsible. 2014 rang in with despair after a series of suicides by still-serving veterans made headlines. The highest profile death was that of Corporal Leona MacEachern, who drove headlong into a transport truck on Christmas Day. On the 9th of January, her husband released a scathing indictment of Veterans Affairs. The issue of veterans suicide had been forecast to become epidemic, and in 2014 the number Afghanistan lost to suicide exceeded the total lost in battle. Last January, faced with mounting suicides and a government refusing to acknowledge there even was a problem, veterans themselves set up their own crisis hotline -- staffed by veterans. Spring saw a series of consultations on the New Veterans Charter. Harper Government representatives on the panel concerned themselves more with the political views of veteran advocates than with any suggestions they had. The final report was submitted to the Commons with a series of strongly-worded recommendations; the third submission for many of them. Nevertheless, and despite taking the full three months allowed to respond, the Minister largely declared that the recommendations required still further study, and no action was taken on them. Incidentally, in a bizarre case of spin, Julian Fantino continues to claim credit for ordering the review... despite the fact that the Harper Government had nearly violated the Charter itself by delaying so long. 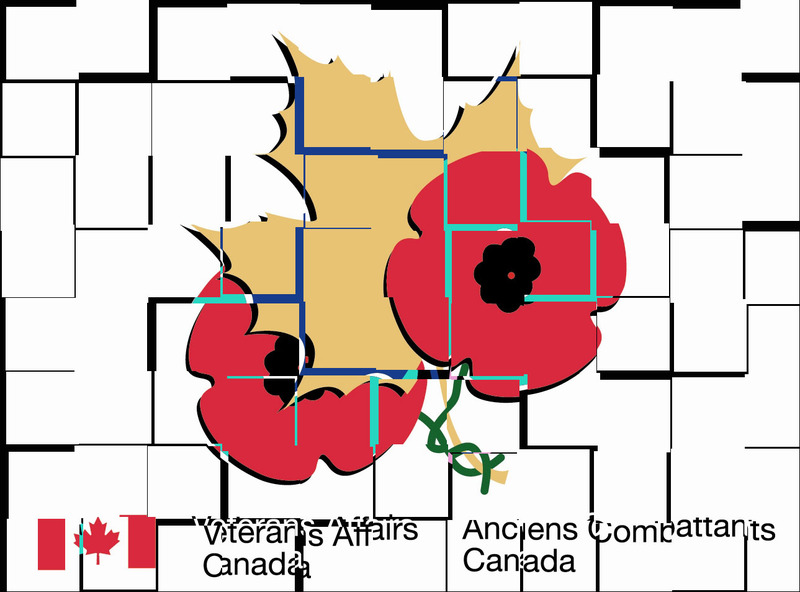 August had the Office of the Veterans Ombudsman reporting that over 50% of Canada's disabled veterans were not in receipt of benefits. Reasons offered were that the applications were difficult, and the appeal process so arduous, that many veterans simply abandoned the process. A Sunday in late November found Fantino announcing a massive veterans' initiative: $200 million for mental health support and new clinics. Then he flew to Italy. Then we found out that that $200 million was to be spent over as much as 50 years and also included the infrastructure costs of setting up eight offices. 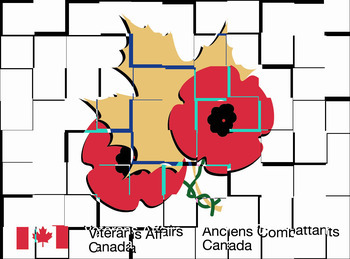 By the way, there are nearly a million veterans of the Forces and RCMP spread out across Canada. You do the math on how much support that works out to. A few days later, the Auditor General released is report on Veterans Affairs. The impartial review was another scathing indictment of VAC and fully supported what advocates have been saying for years: that it was too hard for veterans to access their entitlements; that the process was cumbersome and bureaucratic; that the department was bogged down in directives; and that the cycle of reject-reapply-reject-appeal forces veterans to stop in despair. That appeal times can run from 10-15 years. That the Veterans Review and Appeal Board is not acting as it should, not adhering to legislation, not even equitably applying policy across cases. The AG report supported the claims of bureaucratic mistreatment made by veterans. 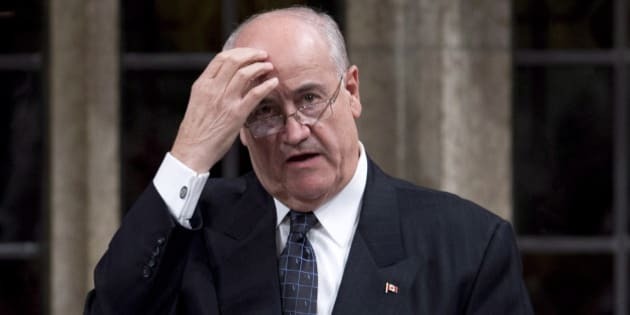 But in a stunning display of contempt, Minister Fantino was "unavailable" to respond to the AG Report, and left his office staff to field questions. Fantino was in Italy to commemorate the WWII Italian Campaign. He also visited the graves of the dead Canadian soldiers; many of which, according to the AG, were neglected by Veterans Affairs. But the biggest scandal of all, the one Harper will be ducking and dodging right into the election, is this easily understood item: Veterans Affairs returned $1.13 billion to Treasury Board. Stephen Harper would have us believe that this is a standard accounting measure. Canadians are not that stupid. Veterans Affairs is under constant cuts and claw backs. VAC offices were closed, staff terminated, programs slashed, due to a lack of funds. Yet there was money in the VAC coffers all along. 1.13 Billion. We found that out shortly after the Harper Government announced a $1.9 Billion surplus.